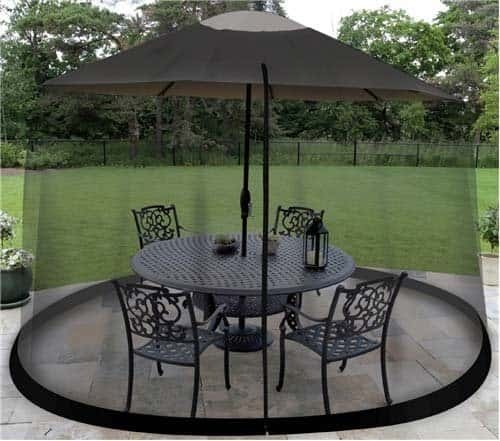 If you love to sit outdoors when the weather is good but live somewhere there are lot of annoying insects then you will love this Umbrella Table Screen. It's very easy to use and allows you to enjoy the outdoors without being bugged by mosquitos! It is adjustable and instantly turns your table and umbrella setting into an elegant gazebo. The design of the net is particularly clever as there is a drawstring which allows a custom fit. This is great news as it means you can use it with an existing umbrella and table that you already have.